You might expect people who clean houses or offices for a living to develop lung problems from harsh cleaning products. But it happens even to people who regularly clean just their own homes. So finds a new study published in American Journal of Respiratory and Critical Care Medicine that followed more than 6,200 adults for 20 years. 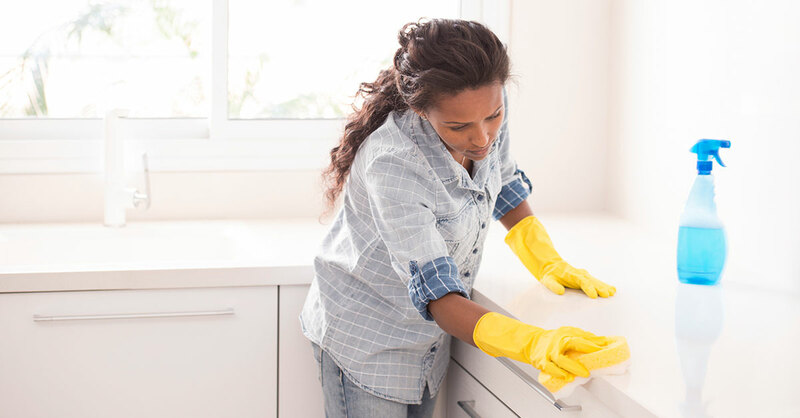 Compared with people who didn’t clean their own homes, those who did so at least weekly scored significantly lower on a measure of overall lung function. In this one measure, the decline was similar to that found in people who have been smoking cigarettes for years. Use your nose. Ammonia and bleach are known irritants that can, over time, impair lung function even when inhaled in low concentrations. You can tell just by opening a product and giving it a sniff that it is irritating—avoid those products. Make your own. For total control over what you breathe in when you clean your house, use ingredients such as distilled white vinegar or borax to make your own safe cleaning products. Example: Mix three-quarters cup of vinegar with three-quarters cup of water in a spray bottle to clean windows and mirrors.